More than a third of the native fish species are at risk in the Rio Grande basin. With rising concerns about water resources, the Texas Water Explorer is delivering data and analysis critical for sustainable management of resources like the Rio Grande. 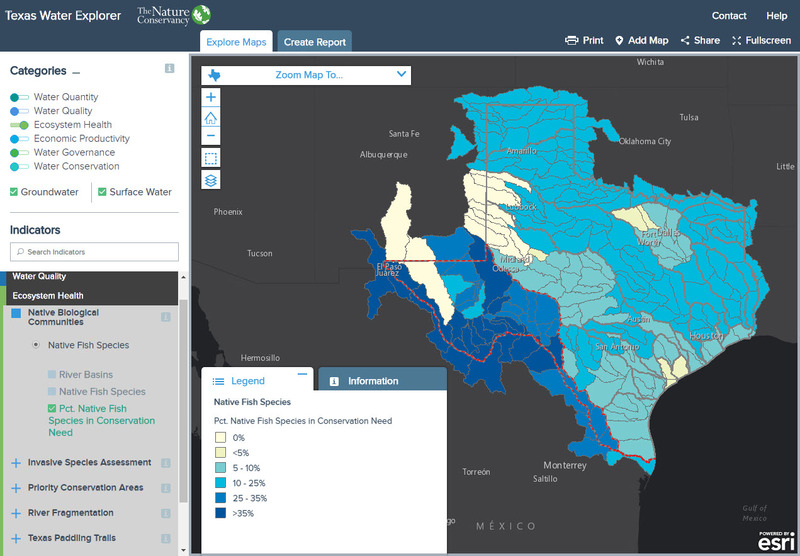 The Explorer is the The Nature Conservancy in Texas’ (TNC TX) definitive source for exploring water health, use, governance, and quality in Texas. Blue Raster worked closely with TNC TX to augment the Explorer this year with a new Ecosystem Health indicator summarizing native fish species diversity and conservation, compiled in collaboration with the Fishes of Texas Project, as well as newly released 2014 and 2015 water use data from the Texas Water Development Board. In addition to the data enhancements, we’ve added a fresh new look for the static content particularly catering to users on mobile devices. We have increased the “scannability” of the wealth of summary information on the website. Scannability was coined in the UI/UX world as the ability to draw in a reader’s attention on a page as they skim over it. Our aim with the new design is easy readability from your phone for the more content-heavy pages. 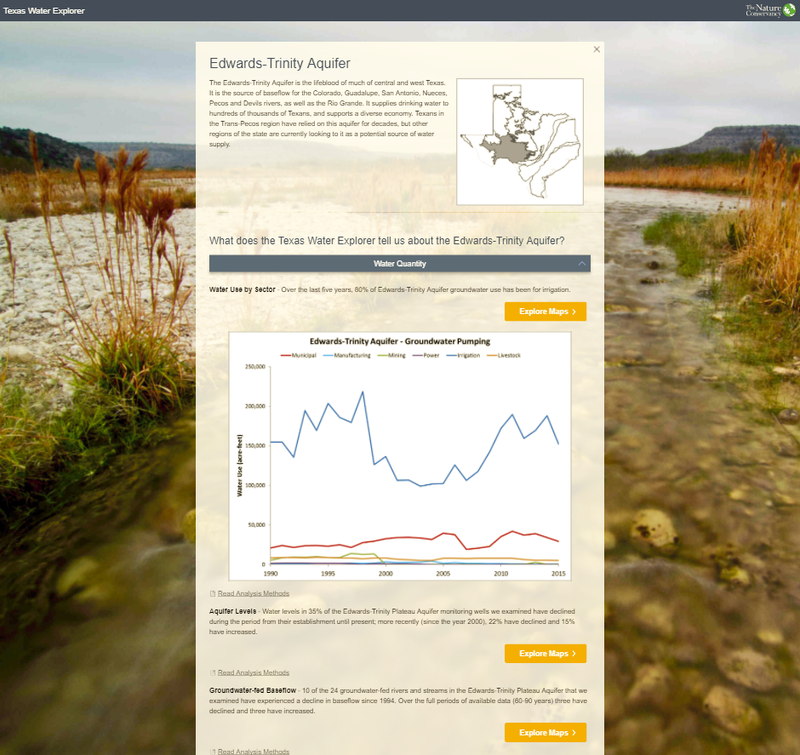 Visit the Texas Water Explorer to see how data and analysis come together to make a positive impact on statewide water resources.